Marinate chicken with lemon juice, curd, ginger-garlic paste, turmeric powder, cumin powder, garam masala, red chilli powder and salt. Keep it in refrigerator for 1 hour. 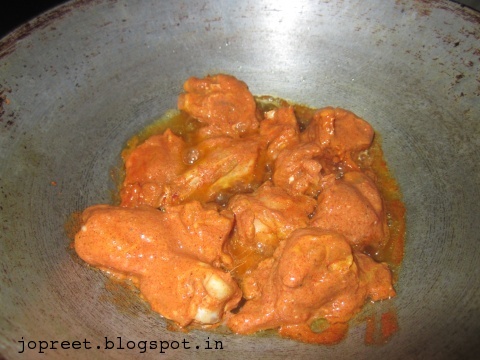 Heat oil in a kadhai and fry the marinated chicken pieces till it turns golden brown. Keep the pieces aside. 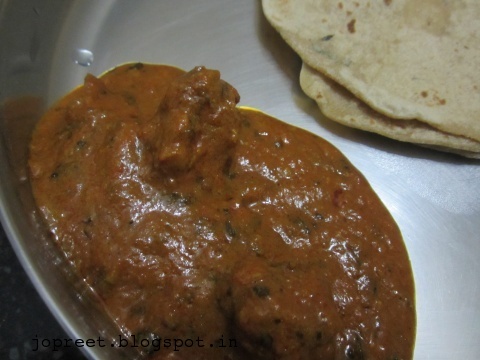 Prepare tomato puree with cinnamon stick, ginger-garlic paste and green cardamom. Heat butter in pan and add bay leaves. Add tomato puree and saute a while. Add honey and red chilli powder if needed more. Add chicken pieces and salt to taste. Cook it for 10 mins and add honey. Cook for 2 mins and remove from the heat. 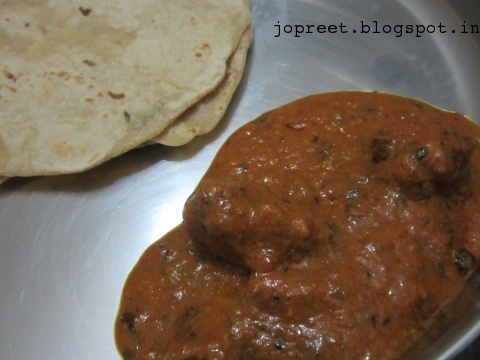 Serve hot with roti or chapati.